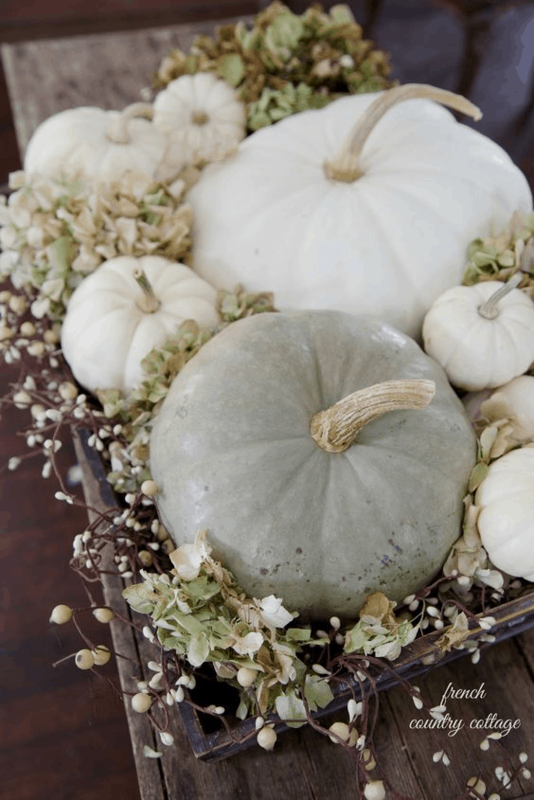 White pumpkins are a beautiful thing. They just seem so beautiful to put on a table, I actually have no desire to eat them! 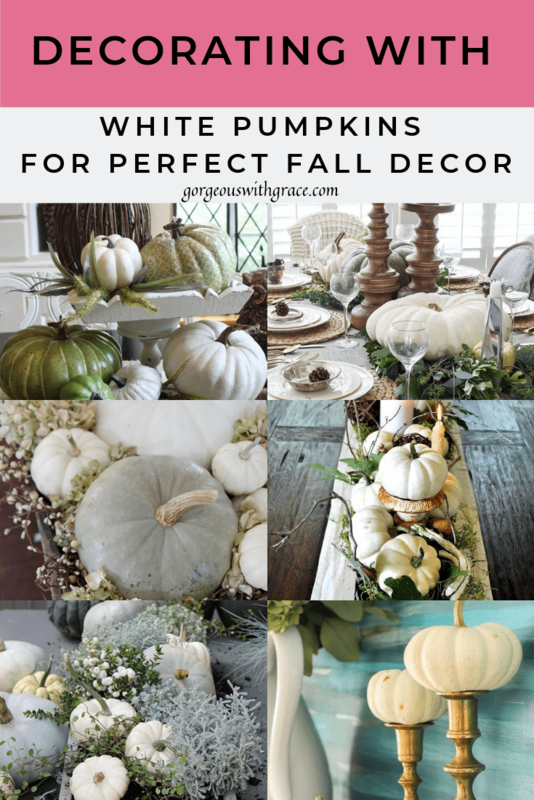 I like the orange one’s too, and I love traditional “Fall Colors” but there is something about neutral fall decor that is just so dreamy. Living in Texas means we are sometimes still sweltering during traditional Fall but these beautiful greens and whites feel cool and calming. 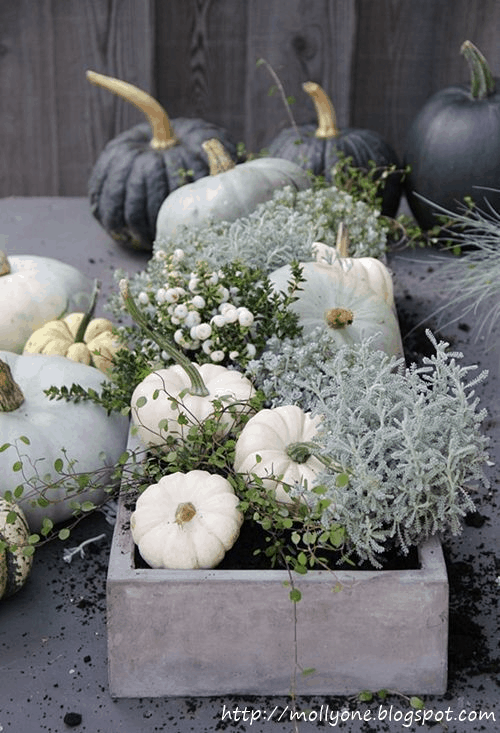 I just love this idea of putting pumpkins in a concrete planter, it’s such a clever idea and looks amazing. This is so simple yet so beautiful and elegant. A small bouquet of greens in a cute little white jug and the lime washed candles of different heights. I think this looks stunning. This is such an exquisite table setting. 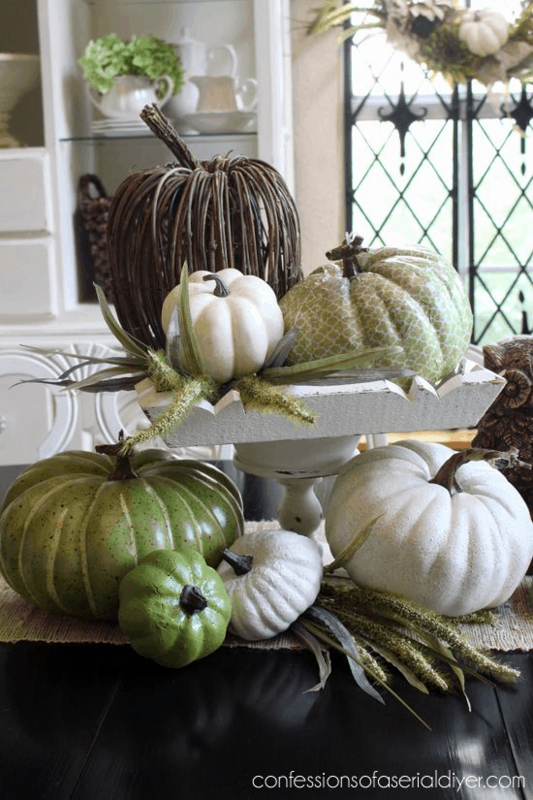 I love how the giant pumpkins are placed on top of the foliage, such a great idea! 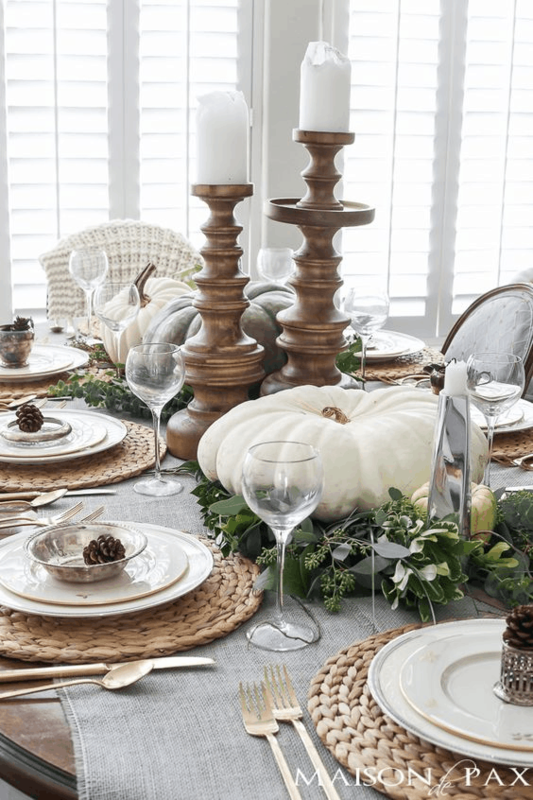 This is a stunning table piece for a buffet style Thanksgiving feast. A collection of natural elements alongside beautiful candles. I adore this sign. I don’t see it still for sale in the Dear Lillie store but they have a bunch of others that are equally gorgeous. 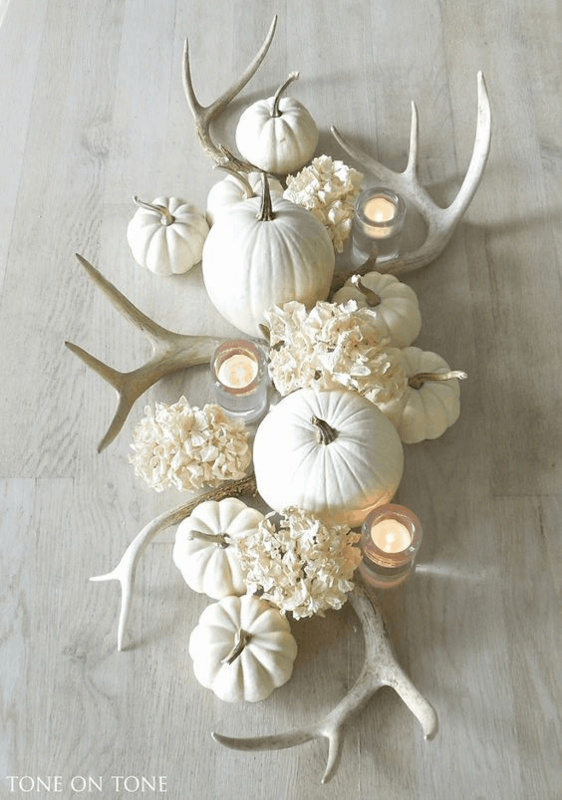 This is such a simplistic center piece but it totally works.I love the combination of the antlers, candles and pumpkins. 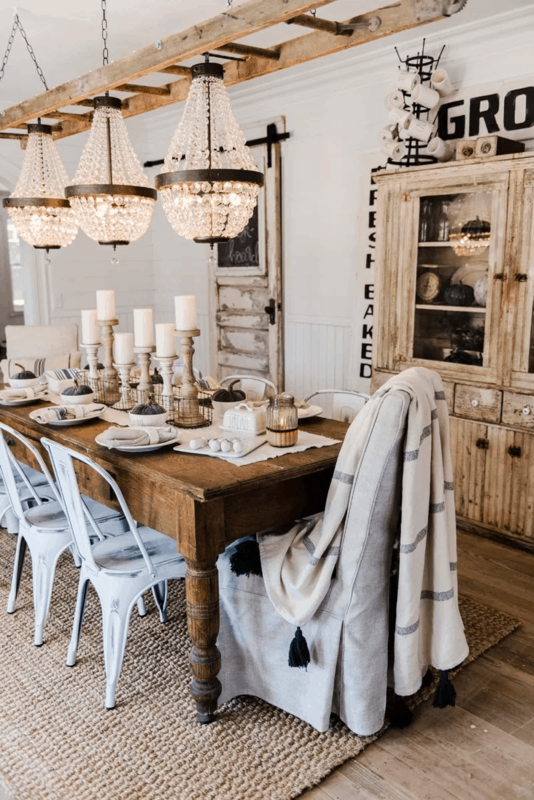 There is something about this space that I just find so magical. I think it is the lighting? 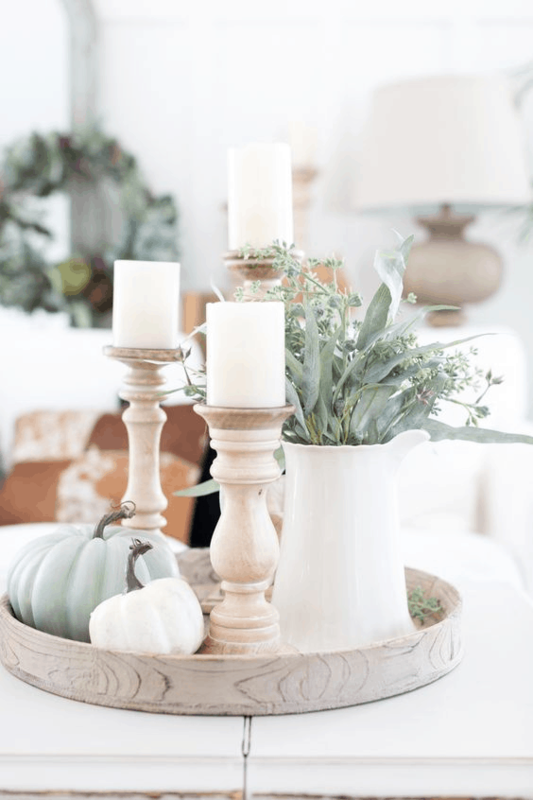 Again, a very simplistic center piece but it is so beautiful with all the other elements in the room. 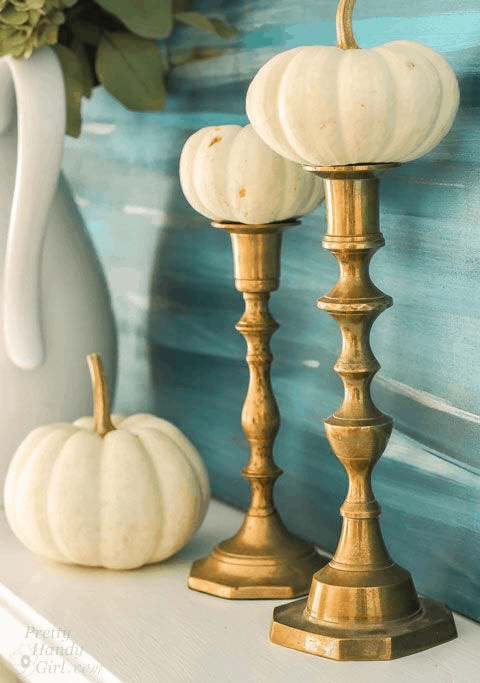 And finally, aren’t these gold/brass candlesticks glorious? 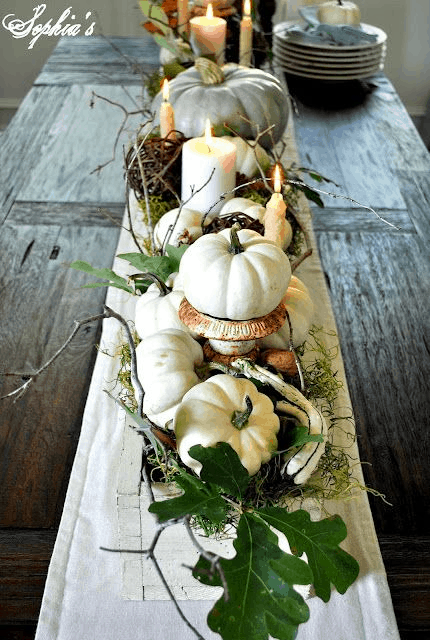 So perfect with little pumpkins perched on top. 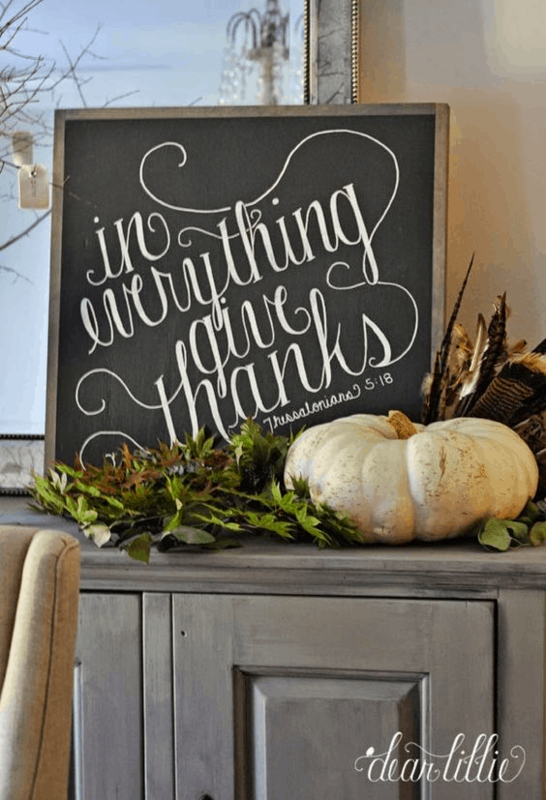 I hope you loved all these beautiful ideas and are looking forward to neutral Fall decor in your home. So incredibly easy to do!